This typically Provencal village is located about 40 kilometers from the Mediterranean Sea. Because of its location between two mountain massifs of Ste. Baume and the Ste. 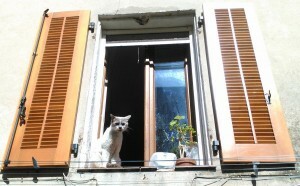 Victoire it is sheltered from extreme weather conditions. In the village you’ll several bakers, butchers and small supermarkets. Furthermore, a post office, an “office de tourisme ‘, restaurants and a hotel. 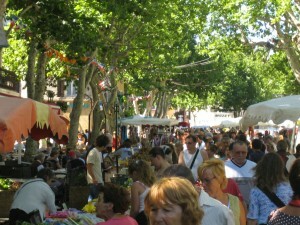 On the small esplanade the weekly Sunday morning market is held. Around the village are the hills with their vineyards, forests, rock massifs, old farmhouses and domaines. Annually, the village festivals are held in the first week of August. The highlight is the parade with decorated floats which all kinds of ancient scenes are depicted. The Cavalcade of St. Eloi is famous in the area. For the sporty types : horse riding school, a tennis court and a 18 holes golf course. 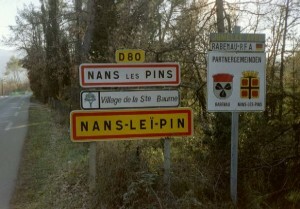 – “Vieux nans.” Duration of walk: approximately 1 hour. The former Celtic village Nans is on a hilltop with beautiful views of the new village Nans les Pins and its surroundings. You can still find the remains of streets, houses, a cathedral and the ancient city. However, the original altar is safe in the church on the Grand Rue. 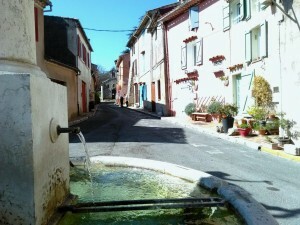 Two water sources are important for the village: the Gouffre de la Foux, which is still pumped and that the municipality will provide drinking water . Not coincidentally the golf course is located only two steps ahead. 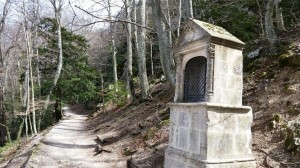 Furthermore, the “Sources de l’Huveaune” with caves. Experienced cavers can explore an extensive underground network here (license to be collected at the town hall). The Chapelle de la Misericorde from the 17th century is a beautiful little church at the end of the Grand Rue. It is always locked but the office du tourisme possesses the key. Inside you can admire beautiful and sometimes funny ex-votos. 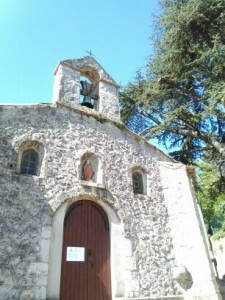 The village church, built in the 19th century with frescoes by Jean Lair. In December and January there is a typical Provencal nativity scene. This nativity scene not only depicts the birth of Jesus, but gives a good idea of ​​the Provencal life in times gone by dolls in traditional costume, the old houses and the old crafts ..
During Heritage Day / Journée de Patrimoine, in the month of September, you can take a look at the olive oil mill on the Cours (private) or at the ancient laundry places in the village. Volunteers tell you the particulars.